Hackers recently acquired and published over 100MB of e-mail correspondence from the Climate Research Unit (CRU) at the University of East Anglia. The CRU describes itself as being "widely recognized as one of the world's leading institutions concerned with the study of natural and anthropogenic climate change". The hacked emails span from 1996 to 2009 and contain correspondence between leading scientists in the climate change debate. The hacked data has been confirmed as genuine, and needless to say, it provides damning evidence about the junk science being used to hype global warming. 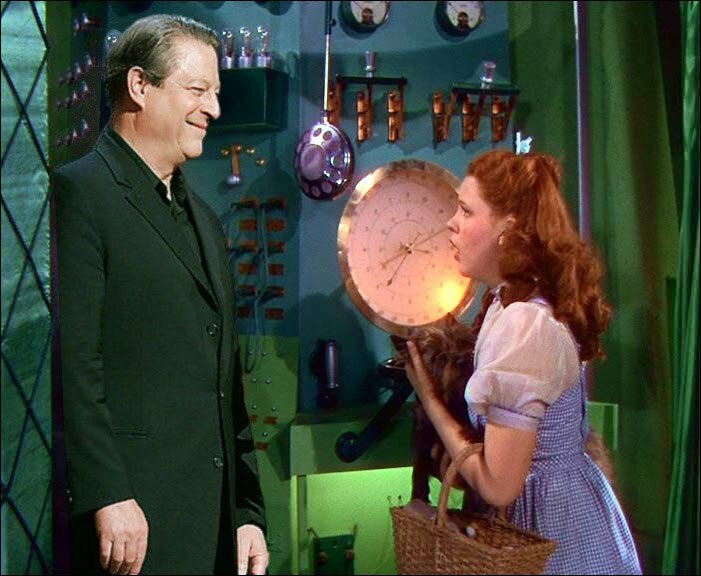 This is Al Gore's 'Wizard of Oz' moment... "Pay no attention to that man behind the curtain!" Certainly, many in the media will gladly oblige, and ignore the scandal. "... these revelations of fudged science should have a cooling effect on global-warming hysteria and the panicked policies that are being pushed forward to address the unproven theory." Update: More on Climategate here. "Here as in other areas, the Obama administration will dither because its ideological blinders won't allow it to consider what most people know is the most effective course of action." Obama, Newsweek, Time, ABC, (the list goes on ...) lack any ability to acknowledge reality, as it relates to Hasan's motives in the Fort Hood murders. "Have we totally lost our moral bearings? Nidal Hasan (allegedly) cold-bloodedly killed 13 innocent people. In such cases, political correctness is not just an abomination. It’s a danger, clear and present." I'm wagering that the DoJ under Obama will not have the stomach to see this through. Certainly the investigation pre-dates Obama, but it will go away (quietly). Obama grants rare interview to communications arm of the Republican Party. President Obama graciously grants interview to Major Garrett (first reported by Drudge). So, while Daley refuses to blame the slaughter on a group (read Islam), he then proceeds to ... [drumroll] ... blame a group (read gun-loving Americans). And what is Daley lobbying for here, anyway? Increased gun control at US Army bases? Really? Again, like Obama earlier, this is a case of tortured logic simply to avoid mention of Islam. Obama blames Fort Hood massacre on 'stress'. "...in a country of 300 million people, there are going to be acts of violence that are inexplicable..."
... as if Hasan's actions were some random drugstore hold-up gone wrong. Is Obama really so completely disconnected with reality that he thinks this massacre actually is "inexplicable"?? What would we do without Hollywood? "Don't be frightened. We mean no harm..."
... 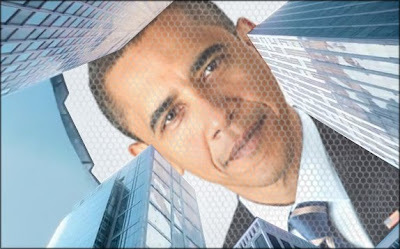 The new 'V' series on ABC looks to be a not-so-subtle commentary on Obama and his followers.